Inspiring Art Teachers to Explore Art History | Curator’s Corner: Happy New Year! Between the 1700s and early 1900s, women artists were not standouts in public exhibitions of art. 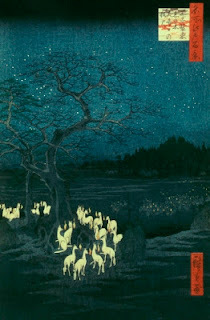 They were, however, always front and center in painting miniatures, genre scenes, portraits, and illustrations, as well as creating textile and ceramic art. In fact, they were instrumental in producing illustrations for numerous magazines during the 1800s. Only in the early 1900s did they begin to assume a leading role in magazine illustration, getting credit for their work. In the rich history of women illustrators in American art, Mary Petty is a true standout. The daughter of a professor of law and a schoolteacher in New Jersey, she painstakingly taught herself art. She concentrated on drawing from childhood, always displaying a satiric nature. In 1925 she met the New Yorker cartoonist Alan Dunn and he encouraged her to try to sell her work. With his encouragement— she eventually married him— she published her first drawing in The New Yorker in 1927. 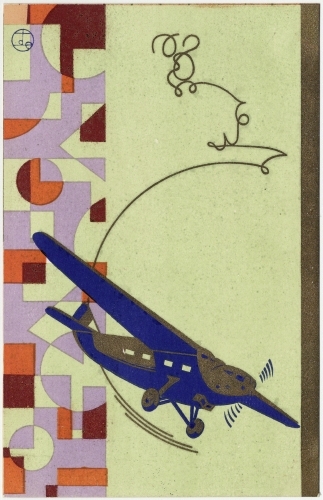 Dunn published 1,915 illustrations for the prestigious New Yorker between 1926 and 1974. Although Petty was not as prolific as her husband, she managed to establish a distinctive style in comic illustration, just as he had. Petty is most famous for her depictions of Manhattan upper-middle class society, particularly the character seen here, the housemaid “Fay.” Fay was seen as the American “every person,” one who worked hard for a living, but occasionally found time to bust out. 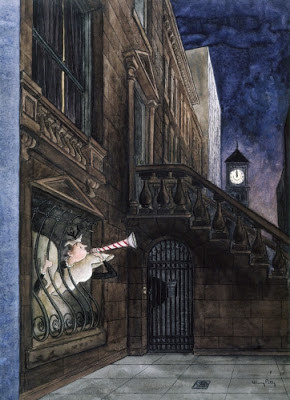 Sometimes, Petty’s depictions of Fay’s life were poignant, as we see here: Fay blows a horn to celebrate New Year, albeit through the bars of her “below the stairs” reality. If this doesn’t speak to the disparity of income in the US in the 21st century, nothing will, and it’s over sixty years old! (1807–1879, France), both political and social satirists, Petty’s work was much gentler in its subtle comments about American society in the mid-1900s. 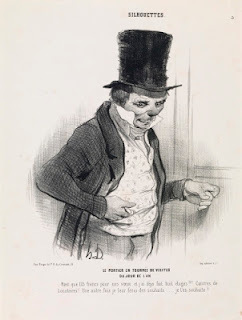 However, like Hogarth and Daumier, Petty’s works reflected the changing society in which she lived. In many ways, like Daumier’s and Hogarth’s prints, Petty’s covers for The New Yorker magazine reflected the last gasp of a social order that she witnessed changing before her eyes. Check out some other New Yorker illustrations. Studio activity: Draw a scene of everyday people celebrating the New Year. Establish a main character that embodies the ideals of everyday people, such as Fay. Make a drawing in pencil and modify it by erasing and adding elements, such as setting, costume, etc. Color the scene with markers or colored pencils, making sure that the colors suit the mood desired for the scene.